As editors at CIMSEC we primarily deal with the realm of maritime security, not satire of French culture & society. However, the ultimate purpose of our study is the securing of peace – the kind of peace in which people may enjoy that bounty of freedoms, including speech and press, which we often take for granted and that are so anathema to civilization’s enemies. 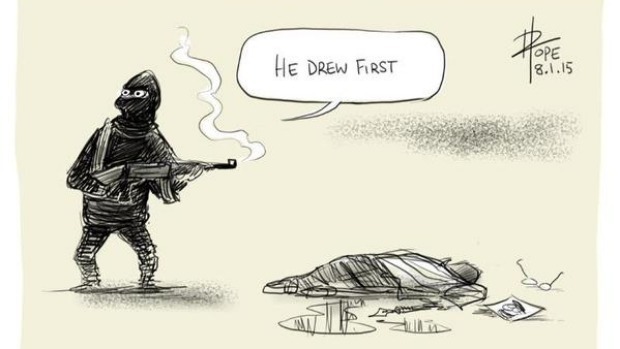 Those enemies murdered 12 French citizens in cold blood – 10 Charlie Hebdo staffers exercising their freedom of speech, and 2 heroic police officers, one of whom was a Muslim himself, defending it. Sometimes that speech is polite, many times it’s rude – but only our freedom’s protection, never its censure, is ever worth a fight. 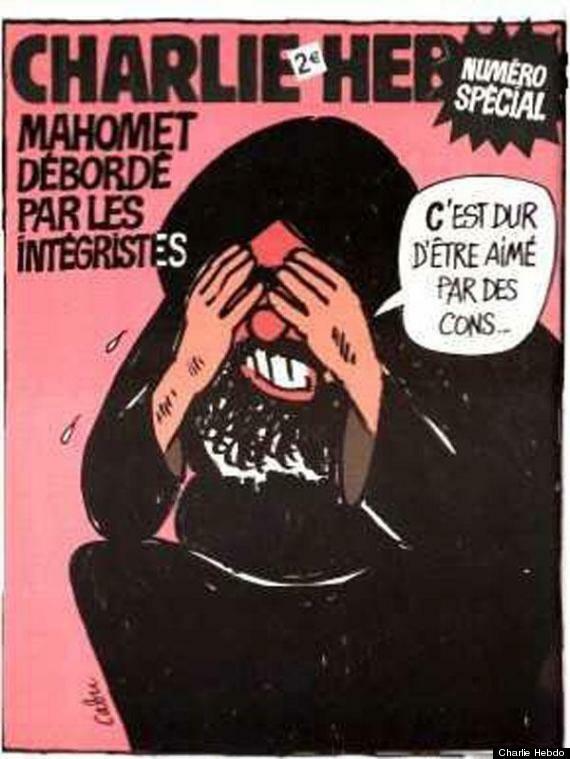 To that end, we publish two choice covers from the Charlie Hebdo magazine – if for no more reason than that the terrorists who went on a rampage in Paris hated them, and as a sign of solidarity with those showing they will not be pressured by such barbarity. 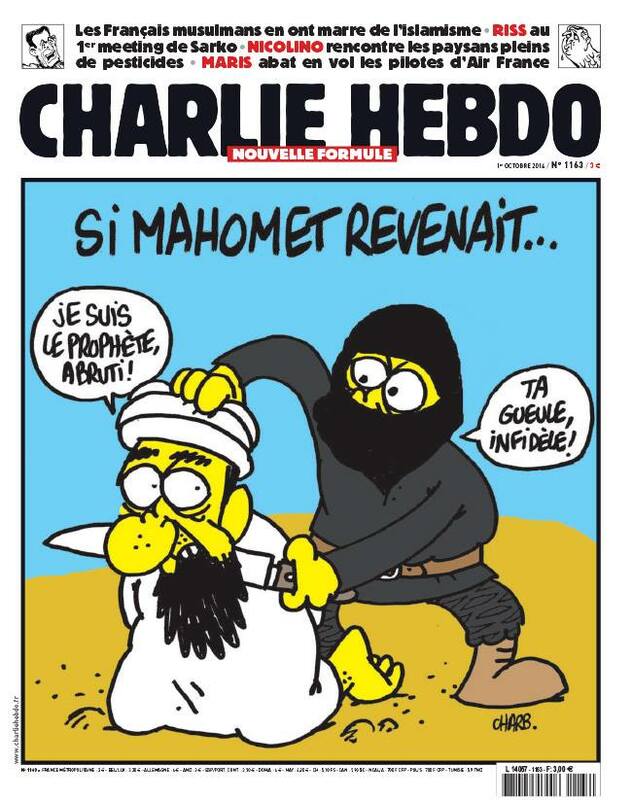 As we reflect, remember that though the watchwords are, “Je Suis Charlie” (We Are Charlie) – we are not. We have never had our places of businesses firebombed for what we do, and carried on nonetheless. Zealot murderers do not know most of us by name, nor do they know where to find us personally. Remember that the lessons we learned from this massacre must be more than this moment of chest-thumped, but ultimately safe, solidarity.